Over the years, I’ve written a lot of articles about inventory and inventory costing. I realize there are some tools that I do not mention that are in the inventory module. This is not because I don’t know about them, it’s because I don’t think companies need them. Everyone is super busy these days, the last thing people want to do is administrative work. I’m an minimalist when I help our clients setup Dynamics 365 Business Central (Formerly Dynamics NAV). I believe we should take the simplest route in setup and configuration to get the company up and running. Why? Because the simplest route is usually the easiest route to maintain for the customer ON THEIR OWN going forward. It’s easy for us consultants, who does this for a living, to recommend all of these cool functions that controls this and that. But what happens when the customer is live and actually using the system in their day to day operation? In addition to their daily workload, now they have to click some buttons in order to properly close? The new ERP system is supposed to save us steps, not increase them. We, as consultants and developers, often forgets this important goal. Remembering details to close out the period in the system should be, in my opinion, be kept at a minimum (none if possible). Making the system more complicated to maintain is not good for anyone. The purpose of the inventory period is to enforce the rule that no item transaction can be posted before the date on the inventory period that is closed. Sounds good right? I mean why would you want people to be able to back date inventory? The reason why I don’t advocate using this function is because, as a financial controller or accounting manager, you’re job is already to ensure people do not back date to the prior periods that have been closed. Both will prevent people from posting into prior periods. IN ADDITION, these functions extends out to other parts of the system that the users should not be back dating into, not just specific to inventory. You can control who can/cannot post into prior periods with the Allow Posting From on the User Setup screen. Why do an additional step of closing inventory periods when you already have premade functions that controls when the user can/cannot post into? But Why Are You Really Not Using Inventory Periods? Quite simply, error messages freaks people out. I hate them and I suspect you hate them too. Make sure there are no negative inventory. Technically, this shouldn’t happen, but it does. Negative inventory is something the financial controller would’ve caught when they print their inventory reports for the management or auditors. All of the restrictions that the Inventory Periods tries to manage is something the accounting manager is already doing in their standard operating procedure. You have the Allow Posting From dates to control when people can back date to. You should be running adjust cost already or it should be setup on the Job Queue to be ran automatically. Side Note: If users don’t remember to run Adjust Cost, I don’t see how they can remember to close the inventory period. You should be printing inventory reports for management and would’ve caught and resolved any negative inventory problems. If your company does not care about negative inventory (some companies don’t), I doubt you’ll ever use the Inventory Period function anyway. I do believe Inventory Periods have their uses in certain situations. I just haven’t been convinced yet. More often than not, I walk into companies with elaborate setups, with Inventory Periods being one of them, that has not been used since the first 1 or 2 periods since the company went live. 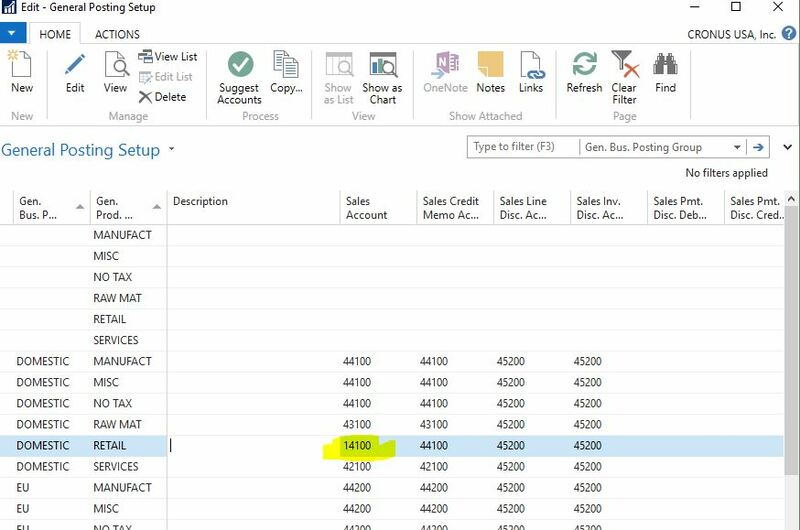 Most companies using Dynamics 365 Business Central don’t even know they’re supposed to run the adjust cost process. Adding additional step of inventory periods will not help the situation. Microsoft likes to add functions to keep track of functions. In my opinion, this makes the system and its maintenance more complicated, which nobody wants. Fortunately, this function is not mandatory. Keep it simple! Don’t make your life hard! At the end of every month, we will inevitably get some questions on why their inventory valuation figures does not match the G/L inventory account. We would investigate and find out why and provide solutions on how to fix them. Some of the reasons are pretty common so I’d thought I compile a list of reasons why your inventory valuation does not match your general ledger, and how to fix them. Note that this is not a comprehensive list, but it’s most common symptoms we’ve come across. The windows version of Navision aka Dynamics NAV aka Dynamics 365 Business Central has been out since 1995, and I’m still amazed how many NAV partners do not emphasize how important this function is to the end users. No, setting up the Automatic Cost Adjustment on the Inventory Setup is NOT enough. I wrote an article covering this specific topic here. The article was written in 2012 and it’s still relevant today. When I went to the Navision training class back in 1999, this was one of things that they stressed on when using inventory function in NAV. Run Adjust Cost people! Do it before you run any inventory, costing, or financial statements! What we do for our clients is to set it up on the Job Queue so it’s ran automatically DAILY. Don’t wait too long until this is ran or else it may take a long, long time to finish, which may lead to other problems if you’re running 24 hour shifts. If you’re not setup to run this process automatically, run it manually! Just. Do. It. This is a common one as well. This case usually happens when there’s a change in the accounting personnel, rules and procedures that was in place gets broken because of reasons. This problem occurs when people posts directly into the inventory accounts. Here’s an example of what we found when we were analyzing why the inventory valuation didn’t match G/L entries (the amounts, document, etc has been changed to protect the innocent). The customer did not know why there was a huge variation between the inventory valuation report and what’s on the General Ledger. At some point, some within the company had allowed Direct Posting to the Inventory G/L accounts. Based on the Change Log, it was changed by their previous accounting manager for unknown reasons. 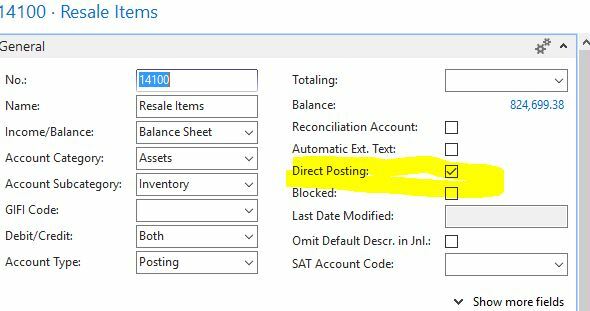 Set the Direct Posting on the G/L account for Inventory to OFF! Filter on the Source Code field with ‘<>INVTPCOST‘. You’ll probably need to show the column first. The resulting entries you’ll need to determine what account you should reclass these entries to. The INVTPCOST is basically the special source code that is used to mark the transactions that originated from the inventory sub ledger. 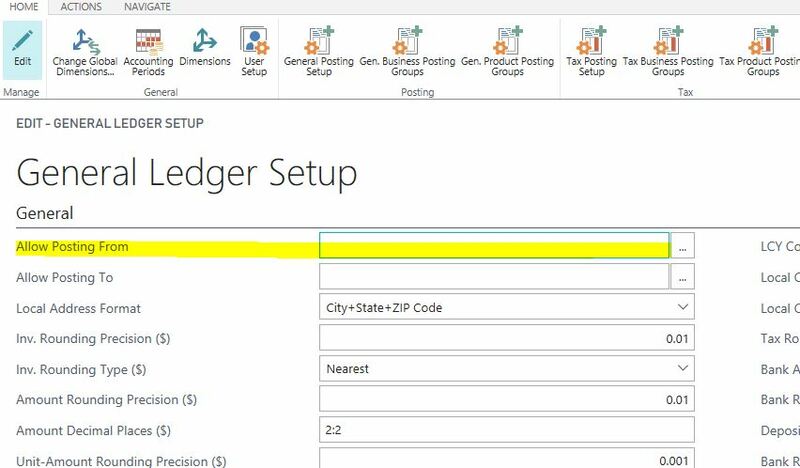 If you have transactions that does not go through the inventory sub ledger, you’re inventory figure will be off. People will try to run the Inventory Valuation report and try to match it to the G/L. The problem is, the standard Inventory Valuation report will include transactions not have hit your G/L yet (for example, items received/shipped not invoiced). The better report to run is the Inventory to G/L Reconcile. This gives you a breakdown of what items are received/shipped not invoiced and include it with your on hand valuation. In addition, you will need to run the Inventory Valuation – WIP report so it can match what’s in WIP to G/L. Why is this important? Because your WIP account, and if you’ve turned on the Expected Cost Posting, will most likely be different G/L accounts. Make sure you’re matching all those up. 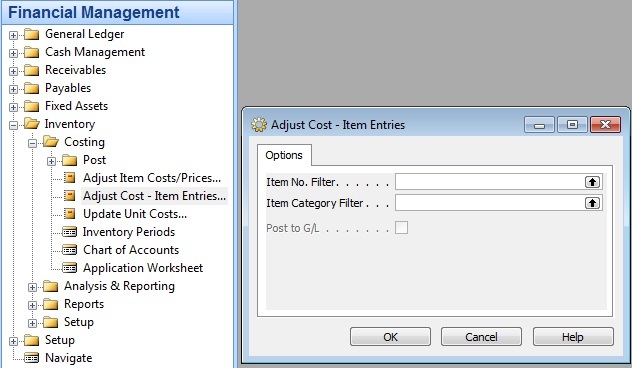 Turning on the Expected Cost Posting on the Inventory Setup will mitigate the problems stated above. So you can run the Inventory Valuation and match it up against your regular inventory and the inventory Interim account. In the past, I’ve argued against turning on the Expected Cost Posting, however, I realize not everyone will become experts in NAV (nor should they need to be) and know what reports to run to close the month and go home. I’m still against turning this on, but I’m softening my stance on this. Relying on consultants is okay… Being self-reliant is better. Take a look at the following screenshot for the Inventory Posting Setup. The inventory account is set to expense account. This means whenever you purchase or sell an inventory item with this inventory posting group for that location, it will go to account 70500. This may be done in accident or on purpose, but when people reconcile inventory they’re typically going to only look at your inventory G/L accounts. 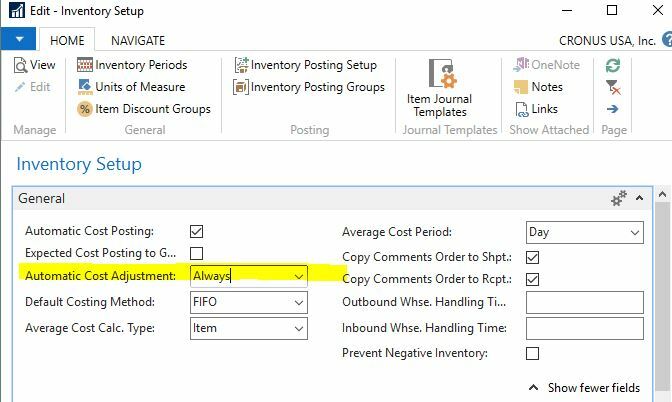 When you go to your typical inventory accounts, you’ll be missing transactions entries for FINISHED Inventory Posting Group for the location GREEN. Again, there may have been a reason this was setup in the first place. But I’m willing to guarantee that 5-6 years later or if there’s a personnel change, this will have been forgotten. 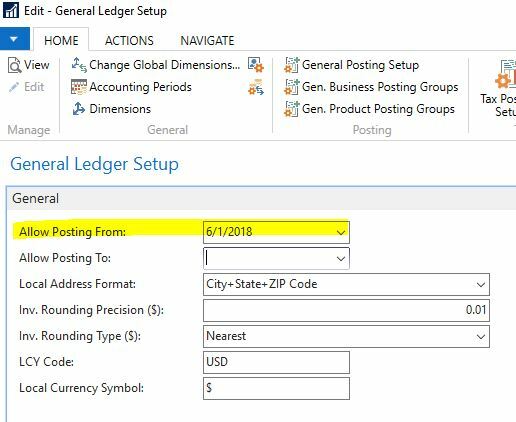 With NAV 2018 and Dynamics 365 Business Central, they’ve taken steps to reduce this problem from occuring by introducing the Account Category and Account Subcategory field on the G/L Account table. This means when you drill down to select an account, you can’t select a “wrong” account. I would recommend hiring someone who knows what they’re doing to do the initial company setup for you. Why? Because most companies will only need to do this (hopefully) once in a lifetime. Learning and ins-and-outs of posting setup, especially when you only really need to set this up once, is not a good use of your time. This scenario is similar to the above. Instead of setting the Inventory Posting Group (the balance sheet side) incorrectly, they set the General Posting Setup incorrectly. This means everytime something is sold, it will hit the inventory G/L account instead of the sales account. Same as the previous point, there may be a special (and probably good) reason for doing this, but over time, this knowledge will be lost. Same as above. Just pay someone who knows what they’re doing to do this setup for you. The chances are, you’ll only need to do this once. I’m not sure. I have problems identifying those who talk a big game and those who can actually deliver as well. I’m sure that’s a separate article at some point in the future. Basically, when you post a receipt on a date later than when you post the invoice. For example, you posted the receipt on 5/6/2018, but you post the purchase invoice with the posting date of 4/30/2018. The primary reason companies do this is because they want certain purchase transactions to occur in certain periods. When you do this, the inventory valuation will not pick up this particular transaction if you run the inventory valuation as of 4/30/2018. Why? Because the inventory transaction occurred on 5/6/2018. However, the G/L transactions occurred on 4/30/2018. The subject of Abnormal Posting Dates has been covered in an article I posted. You can read the article here. Basically, you will need to run a supplemental report to balance out the inventory. There are probably other common reasons, but these are just from the top of my head. Note that these symptoms usually comes with follow up questions on why the inventory costing is weird. But that’s a topic for another article. The bottom line is as long as you can reasonably explain what happened to the auditors, you will be OK. The key is understanding and setting up the system so it can’t fail you. Every once in a while, a company will want to change their costing method from whatever they have into something else for whatever reasons. 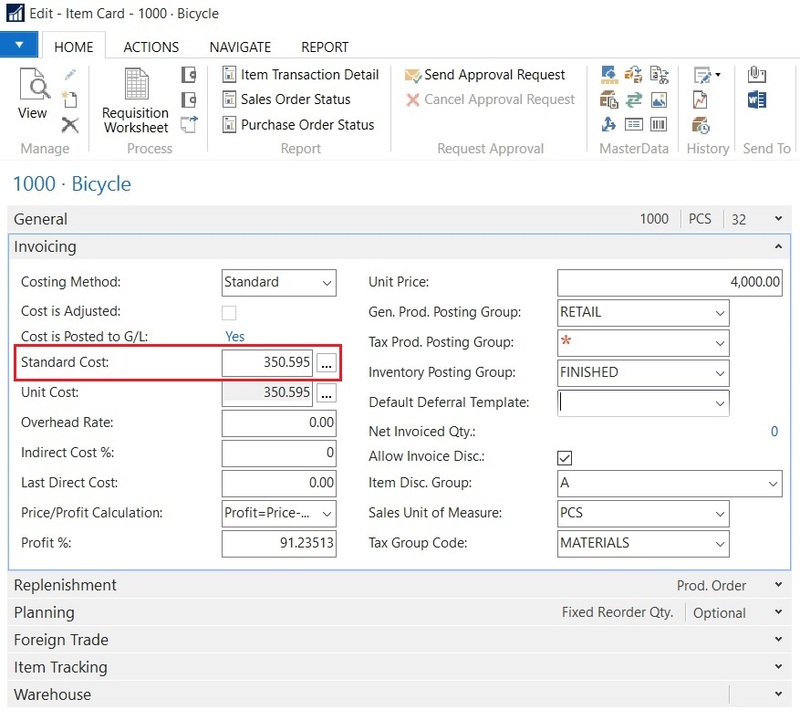 The official way of changing the costing method for any items in Dynamics 365 (Dynamics NAV) is to basically zero out the item and create a new set of item numbers with the new costing method. However, doing this may not be feasible because you end up losing all item history, in addition, depending on how much history you have, renaming item numbers will take a long, long time. There’s an unofficial way that Microsoft does not promote for companies to change the costing method. This is understandable because if the user does not follow the instructions, there’s no way Microsoft can support all of the different scenarios that comes up. The biggest problem that companies run into is documents that are “stuck in the middle”, basically, shipped/received not invoiced. By not having a clean break, if you were to proceed with the costing method change, you will never be able to tie out your inventory valuation to the General Ledger. After the costing method change is done, back dating of inventory transactions cannot be allowed. This includes any item charges that may apply to receipts posting in the previous periods! For example, if we change the items from FIFO to standard on 03/31/2018, no additional postings for these items on or prior to 03/31/2018 should be made. This will need to controlled through the Allow Posting From on the General Ledger Setup and the User Setup. In addition, revaluation of inventory should not be done prior to 03/31/2018 as well for the items. Doing so may cause irreparable damage on the inventory value and will cause your inventory ledger to not match your G/L. The method described above is not recommended by Microsoft. I think this is because there are many ways things can go wrong if not done properly. Having said that, we’ve done this for many of our customers without problems. Strict controls on when the posting is allowed must be followed. If done properly, changing costing method is really not that big of a deal.